The ways in which people are digitizing books is amazing, especially because you’ve likely already helped digitize a book by using Captcha. It’s a tool that makes sure an internet user is a real person who can read funny-looking words and not a malicious computer program looking to cause trouble. 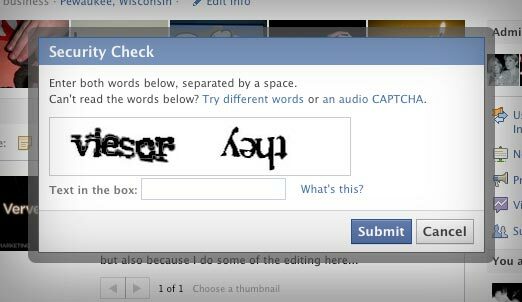 When these Captcha tests first appeared, they had one crazy looking word or code to copy. Now, they often have two words… one that is there to test you… and one that is a scanned word from a book for you to help digitize. The inventor of Captcha realized that he could use this tool to crowd source and create a form of digitizing books that is more reliable than a computer. Since people are better at reading printed words than computers, it made perfect sense to use an application that was already dependent on people reading better than computers. Here’s a mistake that the computer made when scanning a book. The word “they” is upside down, but a computer user will hopefully recognize this and type “they” instead of “yeht”. Another great way to help digitize literature is through Librivox. It’s a place for anyone to help digitize a book by recording themselves reading literature that is in the public domain. Anyone can volunteer to create free audiobooks for Librivox. You can read a chapter of a novel, a poem, a short story, or a role in a play. Librivox builds a catalog of free audiobooks in the public domain through volunteers who want to digitize books in an audio format. You can learn how to voluneer to read for Librivox or browse their growing selection of free audiobooks. It’s great for English majors or anyone taking the mandatory Humanities courses at Geneseo! We were asked in class whether or not copyright laws limit creativity. I have found an early example of an acclaimed creative work that would not have been possible if its creator didn’t blatantly ignore copyright laws. The 1922 silent German horror film Nosferatu is probably best known to college-age folks for the cameo appearance in Spongebob Squarepants. Nosferatu is one of the very first horror movies ever made. It’s also a total rip-off of Dracula. Director Albin Grau wanted to make a movie about a vampire. After doing some research, he decided to direct an adaptation of Bram Stoker’s novel Dracula. Bram Stoker was at this point deceased, and his copyrighted work belonged to his wife, Florence Stoker. All Grau had to do was get Florence Stoker to sell him the rights to make a Dracula movie. Unfortunely, Florence Stoker refused. 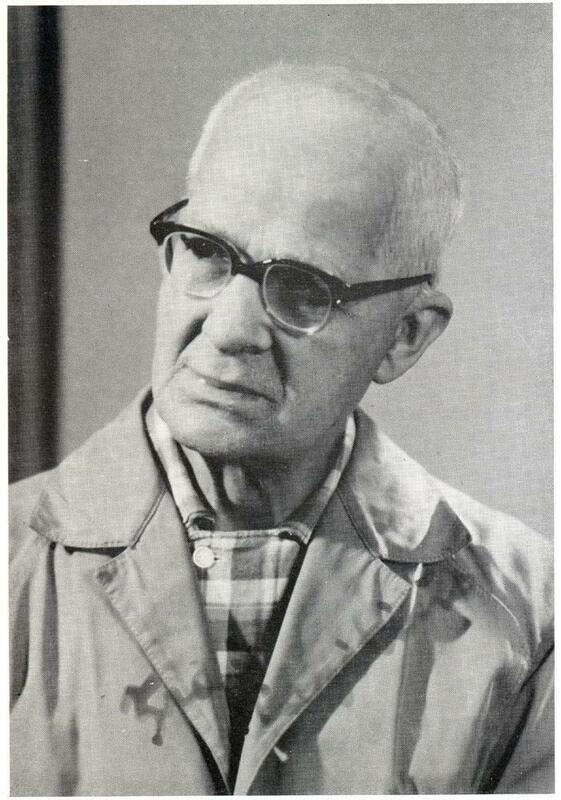 Grau was dismayed that he didn’t get permission to adapt Stoker’s copyrighted work, but he knew just what to do. He made the movie anyway. Grau’s clever plan was to adapt the story of Dracula, but change the names of all the characters. For example, Count Dracula became Count Orlok. And instead of turning into a bat, Count Orlok would have powers more reminiscent of a rat. He wouldn’t be a vampire as much as a “nosferatu”… whatever that is. Grau’s movie turned out to be a hit! It was a revolutionary movie that showed off state-of-the-art effects and told a great, if oddly familiar, story. All would be wonderful as long as Florence Stoker didn’t notice. The court case that followed resulted in the judge ordering all copies of Nosferatu to be destroyed, but years later, a copy surfaced. Now Nosferatu can be seen by anyone and is studied by film enthusiasts and scholars decades later as one of the most influential creative works of cinema. Many horror movie clichés can actually be traced back to Nosferatu. And these clichés never would have been if it weren’t for Grau’s complete disregard for copyright rules. Does this cliché vampire shot seem familiar? This is the original. Grau came up with this in his iconic copyright-infringing Nosferatu. What goes around comes around, however, and now people can do anything with Nosferatu without Grau’s permission because the film is not copyrighted. Dracula is in the public domain (aka not copyrighted) in the United States because Stoker failed to follow proper copyright procedures, so that eliminates any copyright conflicts with Dracula, as well. You could upload it to YouTube and no one would complain. In fact, it’s been done several times. You could even upload a dubstep remix of Nosferatu. Kind of pointless since it’s a silent film, but you could. People even remaster the film in different ways and sell their version of it, often claiming it to be most authentic with the clearest picture or most accurate color tinting or music that would have been used in theaters in the 1920s. People are making money off of Grau’s work just as Grau did with Stoker’s, but this time it’s legal. We can see that copyright laws, to some extend, limit some creativity. While coming up with a totally original piece is a great show of creativity, it has been demonstrated that derivative works can be quite creative, too. Net Neutrality is a hot issue right now, especially since this Thursday, the Federal Communications Commission (in charge or TV, radio, internet, etc. in the USA) will be unveiling their new Open Internet policy. No one is sure what exactly to expect, but there is a great fear that the internet is about to get a lot worse for everyone in the United States. This is because Internet Service Providers (like AOL, Comcast, and Time Warner) have not been shy about their wishes make more money by charging websites to use a proposed “fast lane” in the internet. Internet users like us could possibly be charged to access certain websites as well. Netflix is already paying Comcast more money for regular speed internet. The struggle is real. Right now, Internet Service Providers (ISPs, for short) get to make money by giving us access to the internet. The whole internet. Nothing is censored and no website gets to be delivered faster than another. ISPs are not allowed to discriminate or become gatekeepers. Basically, the ISPs can get richer while most everyone else loses time waiting for less-popular websites to load and money paying for access to websites. You could be charged for access to packages of websites, which would be just as annoying for the internet as it is for cable TV, but even more so because we use it for more than just news and entertainment. Or an ISP could block a politician’s website and claim it interfered with internet traffic (when it could really be because the ISP’s CEO hates that politician). The end of Net Neutrality in America could be the end of free speech in America’s internet. Recently, the popular website Reddit created a blog post that explains how an average person can make a difference regarding the threat to end Net Neutrality. Included are walkthroughs of how to let Congress and the FCC know that Net Neutrality is important to you, which helps because it’s supposed to be Congress and the FCC’s job to protect the interests of the people. Comments on Reddit regarding the blog post affirm the power of making phone calls to Congress, claiming that even a hundred calls can stand out because few calls are made in the first place. Click here to read these comments. I wrote before that consumers obtaining free copies of media online can help the success of copyrighted works, so couldn’t this be taken advantage of by an author? Absoluetly. That’s exactly what writer Neil Gaiman has done with some of his own material, and it paid off. Gaiman has written a lot of stuff, and you’ve likely heard about his work before, even if his name isn’t ringing a bell. 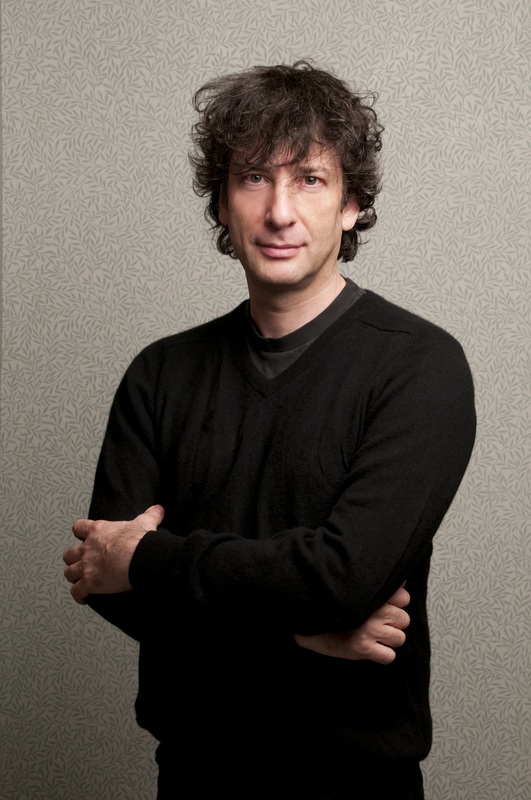 Gaiman’s written novels, children’s books, young adult fiction, short stories, TV episodes, movie screenplays, comic books, and a video game (just to cover a few things). And so much of that has been pirated in one way or another. Gaiman’s been dealing with piracy for many years now, and he’s developed a philosophy that helps him deal with his life as a pirated author, and work to make things better for everyone. 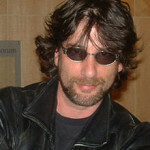 By reviewing data on book sales, Gaiman understood that the piracy may not be as bad as he feared. 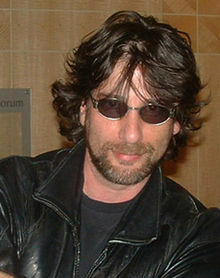 In the end, Gaiman chose to improve piracy rather than fight it. 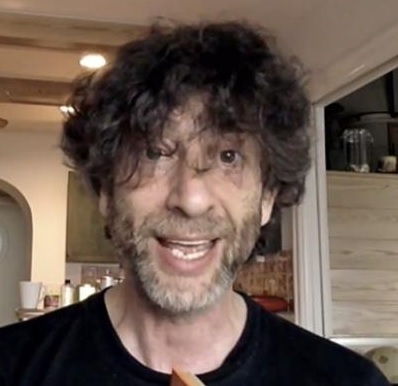 Gaiman’s story began when he found encountered a horror that would disturb any author: His work being posted freely on the internet… without his permission! Despite being an author, didn’t fully understand copyright laws at first. He was afraid he would lose his copyright. Overall, he felt that his readers had made him a victim of piracy . 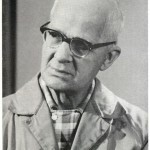 But he soon realized that his works were being translated into other languages, and that his books began selling much more in countries where English isn’t the most popular language. This gave Gaiman a new view of piracy. To him, piracy is similar to lending material to friends. Piracy, like lending books, raises awareness of an author. I think Gaiman’s story shows us something very important: The problem with piracy is not necessarily that people are sharing works or that sales are being lost. The problem is that the author wants to be the one to deliver their work to their audience and meet their audience’s needs. While many copyright holders respond to piracy by trying to stop the illegal sharing, others try to improve the sharing process by making it legal by making the authors the ones who share some work for free. After our reading in English 340 about how, in a sense, most mediums for sharing media have been founded on piracy, I checked out what the biggest form of piracy is today. On the broadcasters’ websites (paid for by advertisers or TV licence payers). If you want to watch an HBO show, however, you can pay for an upgraded cable subscription or the streaming service HBO GO. If you want to just watch Game of Thrones and not pay for a huge package of other shows along with it, you can wait for the DVD release… or illegally download the show, as was done over 8 million times last year. 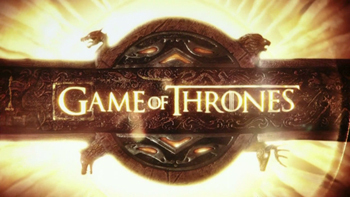 In 2013, on average, the number of illegal download views for Game of Thrones exceeded the number of its legal TV views. 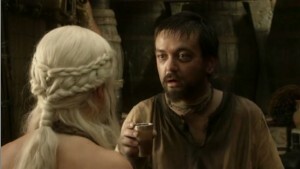 HBO is clearly being robbed of their potential earnings, right? No, they’ve actually taken no financial hit, and the TV viewership for Game of Thrones has actually increased with each season. 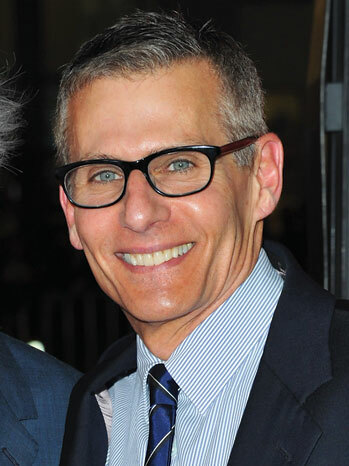 “I probably shouldn’t be saying this, but it is a compliment of sorts,” HBO programming president Michael Lombardo tells Entertainment Weekly. He goes on to say that Game of Thrones is HBO’s top-earning show and its most-pirated show. 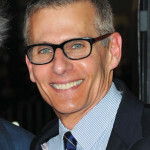 David Petrarca, a director who works on the series, echoed Lombardo’s comments, explaining that good TV shows become popular by being discussed and shared with friends. I think the news stories about the Game of Thrones being pirated only increase the public’s awareness of the series, and being a popular show through any measure is positive press. Piracy seems to have helped the show’s success and HBO has not announced an option for viewers to pay for the show by itself before DVD release, but HBO is working on making the show more easily available to viewers worldwide. This may not lessen piracy all that much, though. Not too far behind Game of Thrones in the list of most pirated episodes from last year is The Big Bang Theory, which airs on CBS, free to Americans. I think the reason piracy is a popular alternative to live television is because people just don’t like to pay for things. While illegal, piracy acts as an illegal free sample for consumers of art and literature, which may encourage them to buy DVDs or online subscriptions for what they’ve sampled.